The life of a model can often be very nomadic. Flying from one country to the next, chasing fashion weeks and seasonal campaigns across the globe. It’s fitting then that we had Selina as a part of our annual Surf Ball at the Surf Lodge in Montauk this year. Selina’s founders, Rafael Museri and Daniel Rudasevski, knew exactly what they were wanting to create when they started their business. After traveling the globe and staying in over 140 hostels, their idea was born to create an experience for travellers in South America that helped to bring freedom, genuine interactions and authenticity to a nomadic lifestyle, something most models strive to find in their own experiences. This year, Selina’s Creative and Co-creative directors, Oz Zechovoy and Ani Dillon created and planted a unique tree for AMFAM’s Surf Ball, The Love Tree. Exclusively using recycled materials while experimenting with a vast variety of textures, colours and shapes, Oz & Ani spent four days in Montauk building the tree with a tailor made swing that allowed our models to interact with the Love Tree. 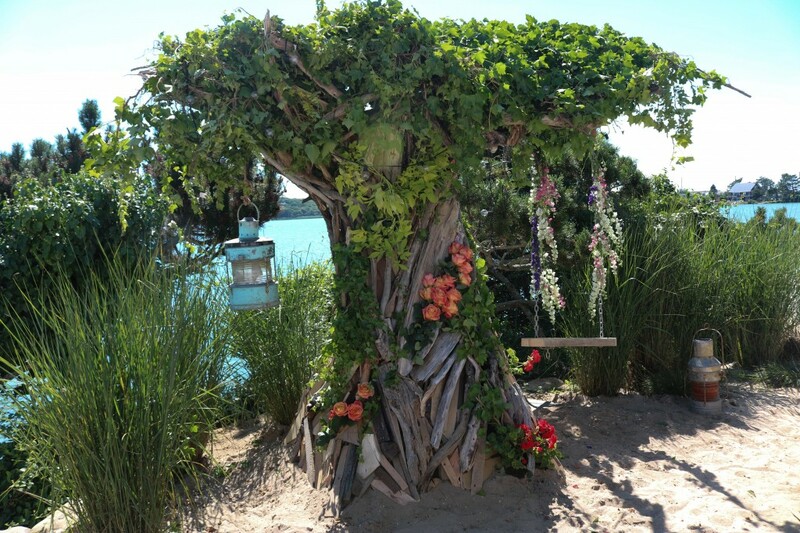 The living art piece was a seamless addition to the landscape of our Surf Ball incorporating growing plants, herbs, drift wood and flowers reminiscent of Montauks beaches. We love anything that highlights the importance of sustainability, a supportive ecosystem and return to nature and couldn’t have been prouder to swing from the branches of Selina’s Love Tree. Keep scrolling for some more images of the living art installation.